Head of wine at The Mandrake hotel, home of French restaurant Serge et le Phoque, Albert Blaize is a rare breed. The English-born oenophile and award-winning taster is a self-described sommelier of the people, keen to break down the barriers between diner and somm. Blaize began his career in 2009 as a restaurant manager in Staffordshire’s Aston Marina; a position he held for five years, while working his way through the WSET. He moved to The Belle Epoque in Knutsford in 2014 to work as the restaurant’s general manager, managing to secure two AA Rosettes for the site during his time there. One year later, he was appointed as a sommelier at the Michelin-awarded Le Manor Aux Quat’ Saisons in Oxfordshire, working closely with the kitchen and sommelier teams to hone his skills. Blaize’s first taste of London came in June 2015, when he moved to the city to manage Islington-based Italian haunt Trullo. After a brief stint as wine manager at Percy & Founders in Fitzrovia, followed by a year working at the award-winning Clove Club in east London, Blaize was talent-spotted by The Mandrake, and became head sommelier there in June 2017. 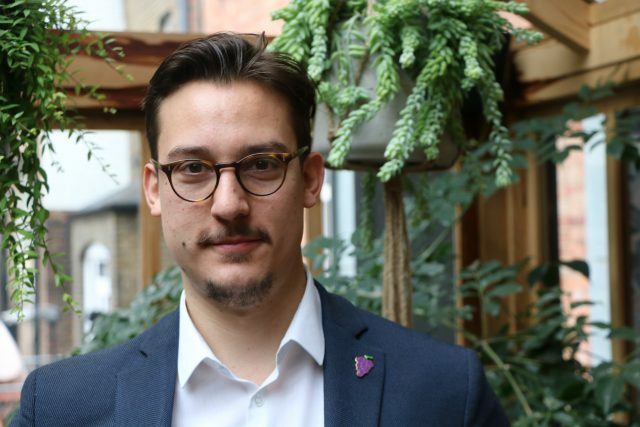 Blaize loves London for the diversity of food and drinks available, but he thinks there’s still much more than can be shown to the city’s diners, especially when it comes to front-of-house. Nevertheless, he maintains that London’s range of wines is still “one of the best in the world”. Blaize is a real rising star on the UK wine scene, and in February 2018 was awarded the accolade of Young Sommelier of the Year in merchant Flint Wines’ annual tournament. But he says his success came down to the mentoring he received in his early career. “Helen Webb was my first boss in hospitality who inspired me; she gave me my first real job in the industry and encouraged me to learn more,” he says. “Guy Palmer-Brown was my last head sommelier; quite simply he taught me how to be a sommelier. They were both crucial to my development and were a massive inspiration to me.” But Blaize is only getting started. As part of his award from Flint Wines, he has now created his own blend at Château Pesquié in the southern Rhone, which will go on sale in 2019. He tells us he has big plans to travel to the US, visit New World wineries and own his own business. We can’t wait to see what he does next.